It’s a cold rainy day in Portsmouth NH which seemed like the perfect weather to whip up a pot of chili. 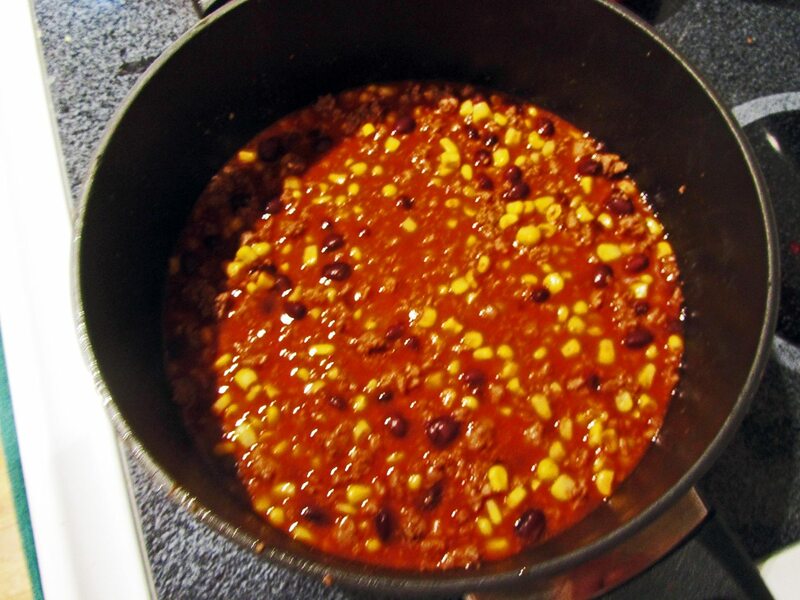 I found this Beefy corn and black bean chili recipe a few days ago and tried it out. This is my second batch. I used ground turkey instead of beef, doubled the chili powder, added a teaspoon of cumin, and half a teaspoon of Cayenne pepper; otherwise I followed the recipe exactly. In my world a recipe is just the way someone else does it and should only be considered a suggestion. It is very good and even better the second day. Sprinkle some grated cheese on top and a dollop of sour cream. MMmmmmmmm! Delicious black bean and corn chili with ground beef.